Priscilla Hertati Lumban Gaol put on a show for her hometown fans by halting the meteoric rise of a rising atomweight superstar. 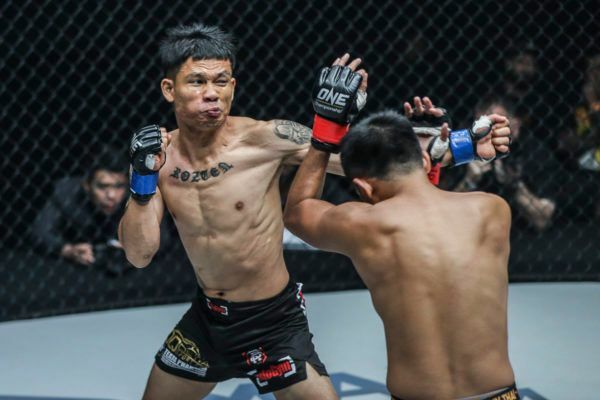 The Indonesian used her defensive wrestling and world-class striking to earn a unanimous decision victory over previously-undefeated Filipina, Jomary “The Zamboanginian Fighter” Torres, at ONE: CONQUEST OF HEROES. The bout took place at the Jakarta Convention Center on Saturday, 22 September. Priscilla Hertati Lumban Gaol puts in a stellar performance to clinch a unanimous decision victory over Jomary Torres! 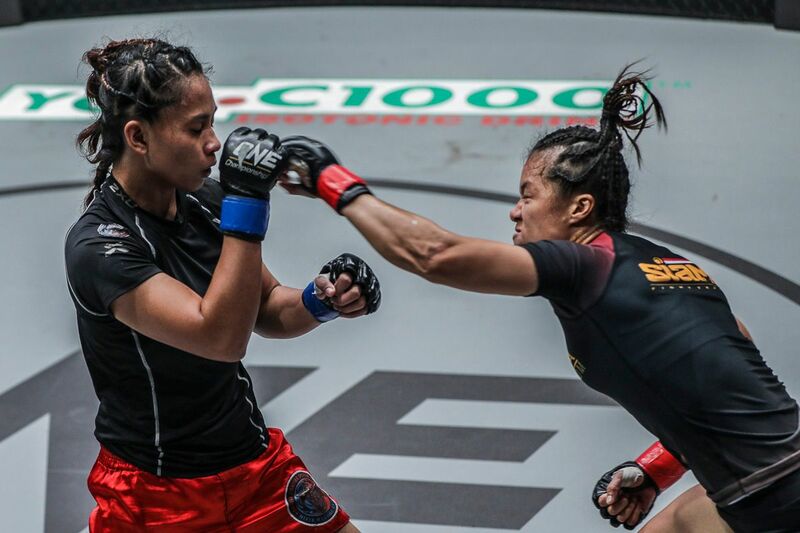 This atomweight contest began with the Lumban Gaol — a wushu specialist — pressing forward and attempting to take control of the cage with her striking. However, Torres was clearly focused on bringing the bout to the ground. Her relentless pursuit for the takedown left her next exposed, which allowed the local favorite to snap on a guillotine choke. Although “Thathie” used the submission hold to take “The Zamboanginian Fighter” to the mat, the Filipina reversed the position and worked towards side control. Lumban Gaol escaped, and although Torres would land another takedown, she was unable to dish out any effective offense on the canvas. The Indonesian attempted to assert control in the second frame, as she walked her adversary down. Just like she did in the first round, however, the 22-year-old looked to utilize her grappling. Unfortunately for her, “Thathie” denied the attempt, and responded with some knees to the head and body. Lumban Gaol continued to shut down her foe’s takedown attempts, and surprisingly, she landed one of her own. From there, she enjoyed a prolonged period of stifling top control, before letting her adversary back to her feet to close out the round. The final round began with Lumban Gaol making the Filipina pay for yet another failed takedown attempt by unloading a volley of knees towards her head. Torres did not give up, however, and succeeded in her mission shortly after. With the action on the mat, “The Zamboanginian Fighter” briefly took her foe’s back, but the local hero deftly escaped the dangerous position. The pair then returned to the feet, where “Thathie” unleashed some snapping kicks to the legs and hard punches to the head. Torres shot in for one final takedown as the round ended, but Lumban Gaol stopped it and ended the atomweight clash on a high note. 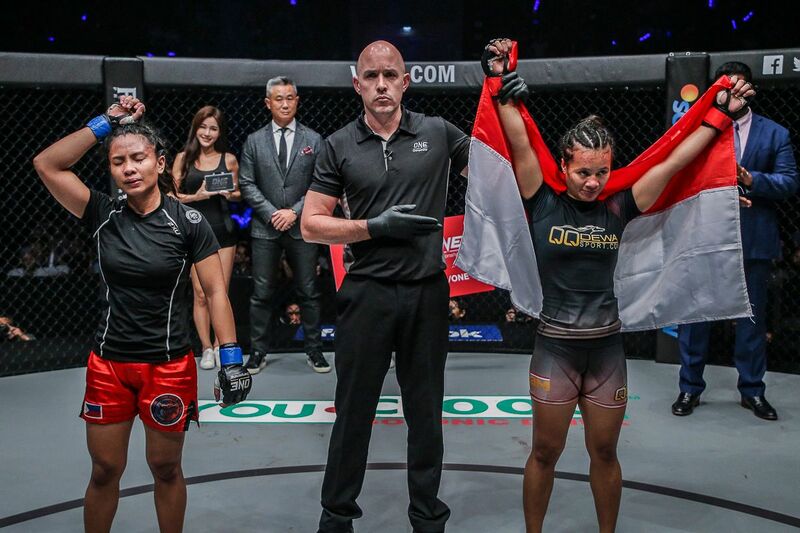 In victory, Lumban Gaol remained unbeaten in Jakarta, and stopped the meteoric rise of Torres by giving her the first defeat of her career. 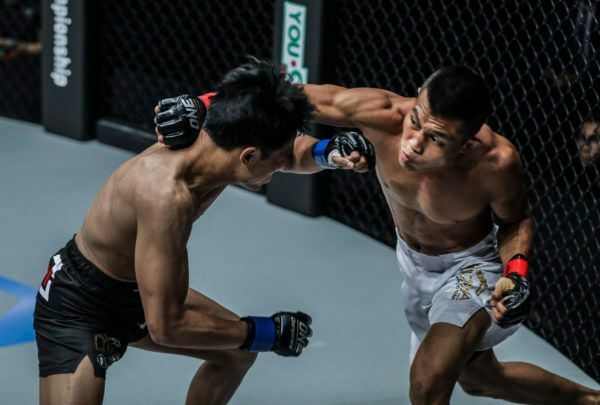 “The Funky Drummer” upset the six-time Muay Thai World Champion at ONE: CONQUEST OF HEROES in Jakarta, Indonesia. “The Terminator” returned to his winning ways with a dominant performance at ONE: CONQUEST OF HEROES in Jakarta, Indonesia. 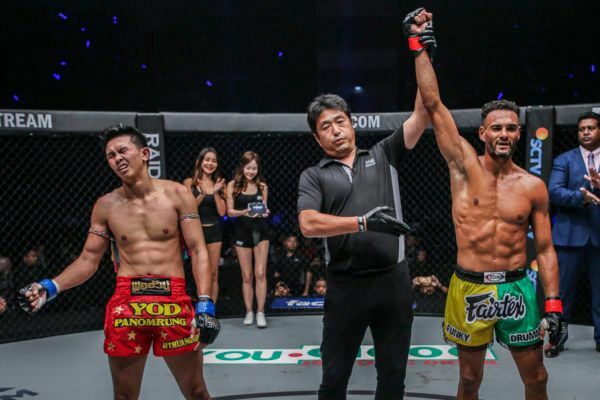 The Jakarta native made history with his TKO victory at ONE: CONQUEST OF HEROES in Indonesia on 22 September. The boxing champion put his powerful punches to good use in Jakarta, Indonesia, on 22 September.